This level has medium difficulty and you need to use good technique to complete this level. 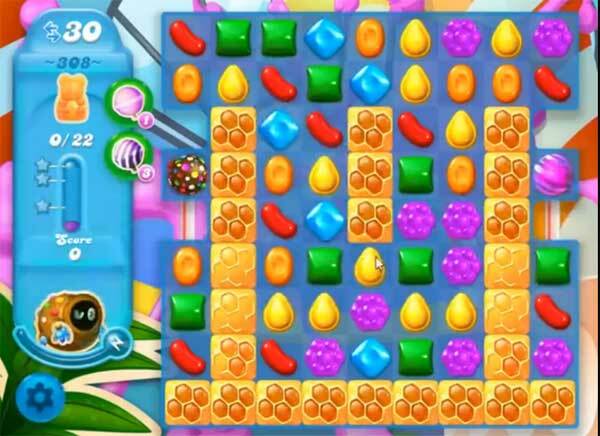 For this level you should try to play near to honey to break them or make special candy as you get the chance to break them to save bears within less moves. Try to make special combos like striped candy with colorbomb or use sprinkleshell if you feed him and get full to break more honey to save bears within 30 moves.